Bright is an exquisite collection of 20 high-performance botanical oils sourced from around the word, bottled together for the most luxurious skin nourishment. Strategically formulated to care for the delicate eye area, Bright targets visible signs of aging and enhances skin tone. Plant-based nutrients soften the appearance of fine lines, as omega fatty acids deliver lasting moisture. 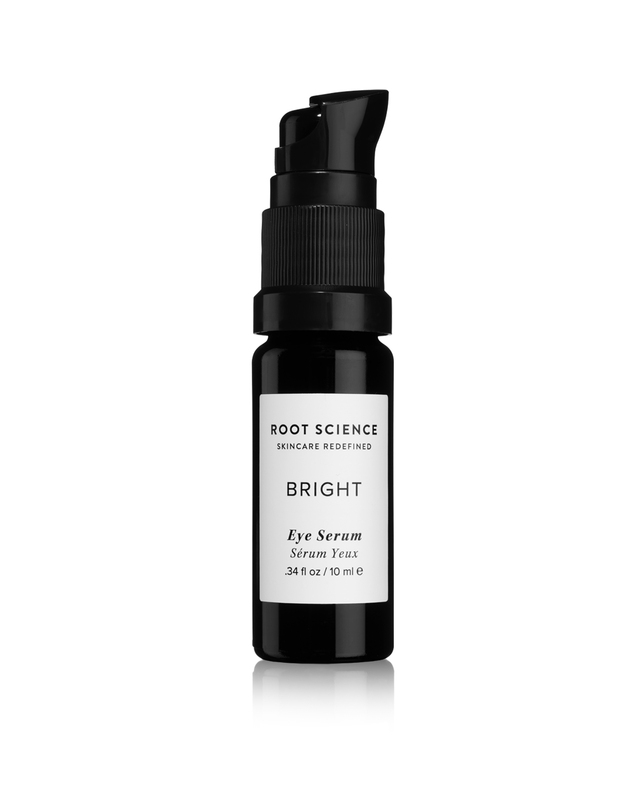 Bright eye serum utilizes nature’s purest actives to promote naturally radiant and healthy looking skin. An antioxidant powerhouse that contains skin transformative Vitamin C, E and A, along with reparative phytosterols and protective polyphenols. A superior quality due to it’s cold-pressed, unrefined, non-deodorized method of extraction. Contains an array of youth enhancing nutrients, UV protective ferulic acid, and skin nourishing phytosterols. 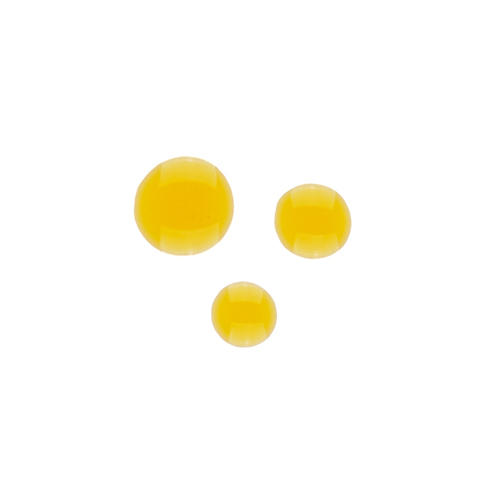 Abundant source of skin loving antioxidant Vitamin E, protects skin from UV induced damage and premature signs of aging. A powerful skin soother and rich source of skin calming compound Azulene, providing ease to irritation and sensitivity. Rich in trans-retinoic acid Vitamin A, Vitamin E, lycopene, and beta-carotene, which aid in delaying and reducing visible signs of aging. A superior herbal skin remedy renown for its ability to reduce the appearance of swelling, puffiness, and dark circles. Premium quality oils are sourced raw, organic, unrefined and non-deodorized for maximum nutrient density. Therapeutic grade essential oils are distilled from organic and wild-harvested medicinal plants. Meticulously handcrafted and expertly blended in synergistic quantities proprietary to Root Science. Tried and tested by real people to ensure optimal skin benefits. Gentle notes of soothing calendula and sweet blue tansy inspire youthful bliss. Serum warms in the palm of your hand and nutrients are gently massaged into skin. Lavish botanicals drench complexion in glow activating vitamins as moisture rich oils quickly absorb, unveiling perfectly primed skin and a new state of health. Opuntia Ficus Indica (Prickly Pear) Seed Oil*, Simmondsia Chinensis (Jojoba) Oil*, Rosa Canina (Rosehip) Seed Oil*, Argania Spinosa (Argan) Oil*, Rubus Idaeus (Raspberry) Seed Oil*, Adansonia Digitata (Baobab) Oil*, Rubus Fruticosus (Blackberry) Seed Oil*, Vaccinium Macrocarpon (Cranberry) Seed Oil*, Hippophae Rhamnoides (Sea Buckthorn) CO2 Extract*, Calophyllum Inophyllum (Tamanu) Oil*, Calendula Officinalis (Calendula) CO2 Extract*, Arnica Montana (Arnica) CO2 Extract, Tocopherol (Vitamin E), Tanacetum Annuum (Blue Tansy) Essential Oil*, Proprietary Blend of Organic & Wild Harvested Essential Oils***. ***All essential oils in our proprietary formulas are selected for their studied skin benefits and are non-photosensitizing. Apply half pump to fingertip and gently pat serum around eye area, avoiding direct contact with eyes. Allow serum to absorb for several minutes. I’m a first time mom with zero time for my usually decadent skincare routine. So glad I found this eye serum as part of my minimal routine… it’s incredibly hydrating and I was amazed at how not exhausted my under eyes appeared, even with a few hours of sleep. Super gentle and doesn’t irritate my eyes (or make them puffy! Hallelujah). This is a forever staple in my routine now… in love with it. The first eye serum that doesn’t sting or irritate my sensitive skin. This serum soaks in and hydrates without leaving any greasy residue. I use it morning and night under my brow bone and under my eyes, it’s so soothing. Holy Grail product for me, I just love it. On my second bottle, it’s awesome. Light and effective. Works nicely under makeup too! Received this in the Art of Organics monthly box as one of their items of the month. Raised an eyebrow at the price tag of $80. Don’t think I would have purchased this on its own. Now, since I’ve tried it, would definitely purchase this serum. First, it takes a tiny, tiny amount. It spreads easily & is a thin oil and sinks right in. Made the mistake of forcing the pump down all the way down and too much shot out but if you just barely use the pump it dispenses the needed amount. After about 3 weeks of use, my eyes are more hydrated, brighter and fines line less noticeable. It doesn’t puff up my eye area like other facial oils or add to my puffiness. Can use morning and night, even under MU because its sinks into the skin. I use this now instead of my normal eye cream (over my Retin-A product). Its perfect for the eye area and worth the price. Worth every penny! I’m super sensitive around the eyes so it’s hard to find a product that doesn’t aggravate. This keeps my skin super hydrated and I’ve noticed my fine lines are less visible. It’s only been a few weeks so I’m excited to see the long term effects! I was on the fence about the “necessity” of having this eye serum because I had another eye cream I was using at the time. I’m so glad I bought it anyways because this is the best eye serum EVER. A tiny bit will cover both below and above the eye and it has decreased puffiness, fine lines and dark circles around my eyes. It’s made the skin around my eyes glow! Absolutely love this product. I have been using this product for about six weeks and the results have been amazing! The fine lines around my eyes are less visible and my skin looks more healthy. It has even begun to fix some skin discoloration that I have, which was an unexpected bonus. I really love this product. Super happy with my results! Highly recommend to anyone looking for an eye treatment that works for sensitive skin. This is my new HOLY GRAIL eye treatment! It’s been a month since I purchased and the results are in. It’s seriously moisturizing and really delivers on depuffing and brightening the eye area. I’ve noticed fine lines slowly decreasing and the skin around my eyes is now much smoother under makeup. One pump of serum goes a very long way, so I use the left over to brighten up some dark spots I have around my chin, which is a bonus! I stumbled upon this product in a state of serious desperation. My eye area was suffering from dry, bumpy, discolored skin! AND I couldn’t use a concealer as it made it look even worse. It’s been 2 months of using Bright and I no longer need concealer. My skin is back to normal and possibly looking the best it has in a long time! And I must add that my very sensitive skin is seriously loving ALL of your products. Thank You!!!!!!!!! I met the entire RS crew at ANFGB and must say how impressed I am with your humble and knowledgeable crew. You guys really care about the people you serve and it’s genuine. Your eye serum is a beautiful reflection of your passion and my results are nothing short of amazing. Thank you for making such beautiful and thoughtful products.